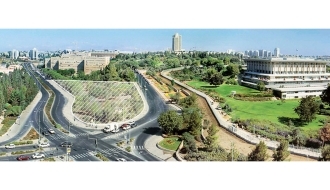 The international panel of judges in the Architects’ Competition of the National Library of Israel met in Jerusalem on 17-19 April. The panel included four architects–Prof.LuisFernandez-Galiano (Chair), Prof. Elinoar Komissar – Barza , Prof. Rafael Moneo and Gaby Schwartz. Prof. Massimiliano Fuksas announced at the last moment that he was unable to participate for reasons beyond his control. Prior to examining the submissions , the paneltoured the site designated for construction of the building and received a videotaped message on the vision for the Library renewal from the National Library’s Chairman of the Board, David Blumberg. 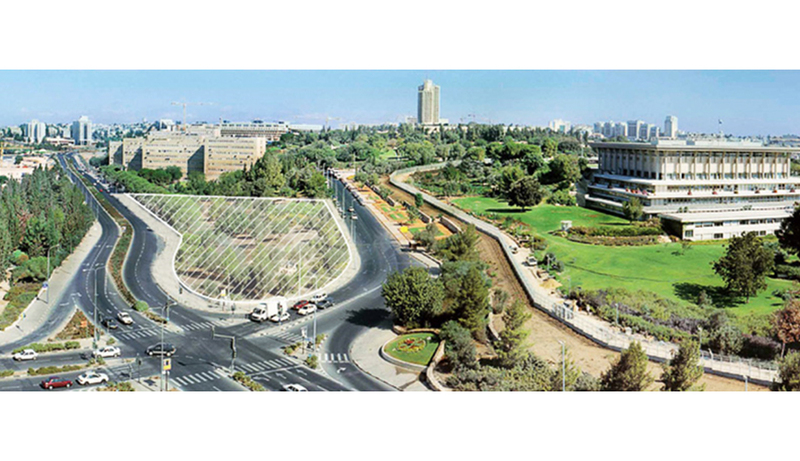 Eighty – one (81) proposals were submitted in this first stage of the competition. Selecting the stipulated four proposals from such a large number of submissions posed a challenge to the jury.The panel of judges noted in its summation that it was impressed by the range of the participants’ ideas and by their creativity, and said that it was evident that the architects had devoted considerable time and thought to their proposals. The panel was unanimous in its selection of the four proposals submitted by the architects who will advance to the second stage of the competition.